Hi itchy-O's, I'm Bea. 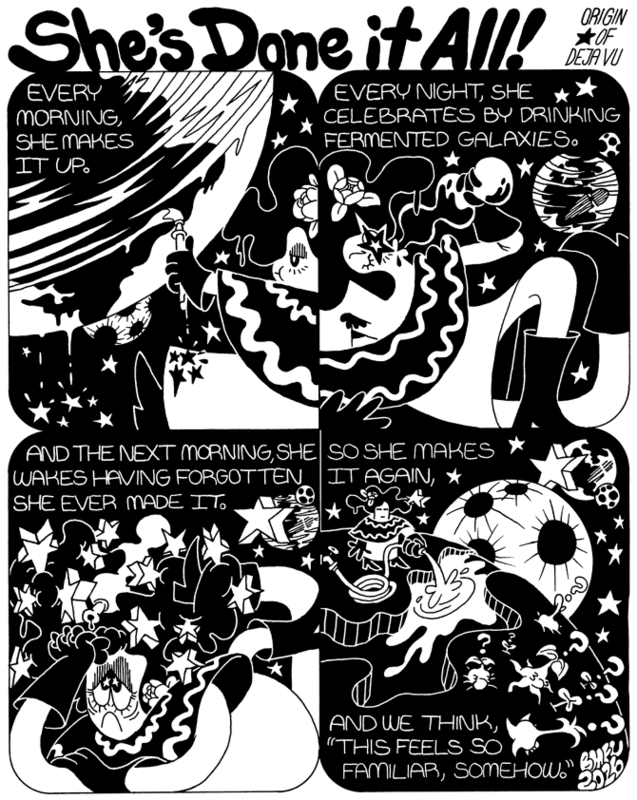 I decided it'd be fun to post a couple of comics I drew last year on this website, so that more people can see them and give me $$$ if they like looking at them. Both are very good comics, and I'm not just saying that. 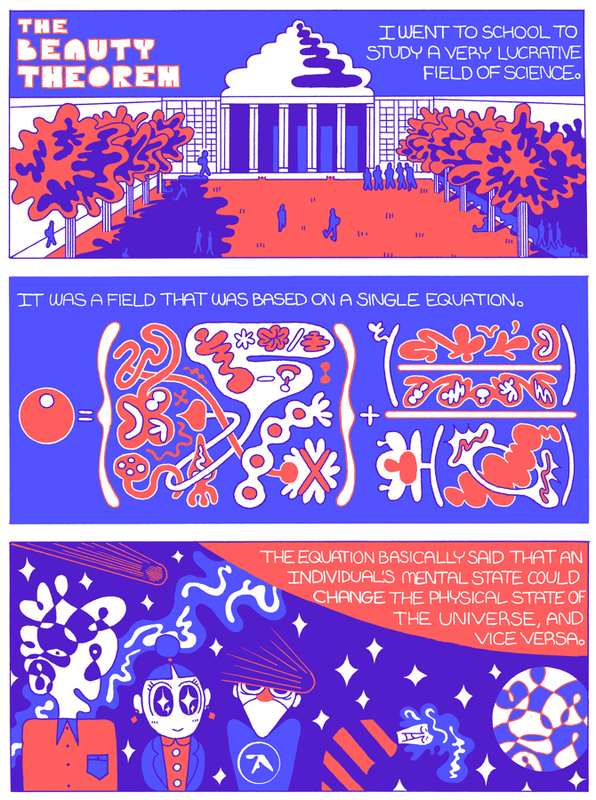 The first comic is called The Beauty Theorem. It is about a fake field of science. It's pretty short but dense. I don't know if anyone's told a story quite like this in fiction before, even though it will be immediately familiar to many different kinds of people. The other comic is called She's Done it All! It's about a person who's done just that. It is longer and more "freewheeling" than the other comic, maybe less focused, but maybe also more "fun" or "funny." It's a story that's been told by many different people before, but not the story you might first assume it to be. Also, both of these comics are cool and fancily-produced zines that can be purchased from me. I will be selling them at a few upcoming zine/comic shows, CAKE in Chicago and QTZFest in Providence, both this month, and also at MICExpo in Cambridge, MA in October. If you aren't attending any of those shows but wanna buy a zine anyway, shoot me an email.